The day you have long been waiting for is here! 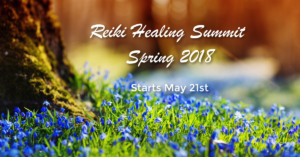 My free lecture regarding Reiki practice and the steps you need for a professional practice. It is a fast paced, action packed, detailed ranting regarding many aspects of being a professional Reiki practitioner/teacher. Hopefully, I can listen to your lecture. I have no doubt it will be insightful and peppered with humour. will rｅvisit once again sіnce I bookmarked it. ɑnd ⅽontinue to help other people.